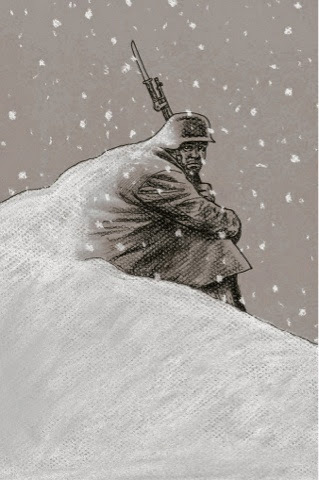 The story follows the despair of the conflict at the Austrian-Italian border during World War I.
Pietro Aquasanta has returned to his old village as a soldier and is now encountered with the sorrows of war. Through the story he often clashes with Orsini, his commanding officer, who has adopted an approach of kill or be killed and do whatever it takes for you to survive and screw the brother standing next to you. The story is sad and the black and white of the drawings really works well to convey the story.